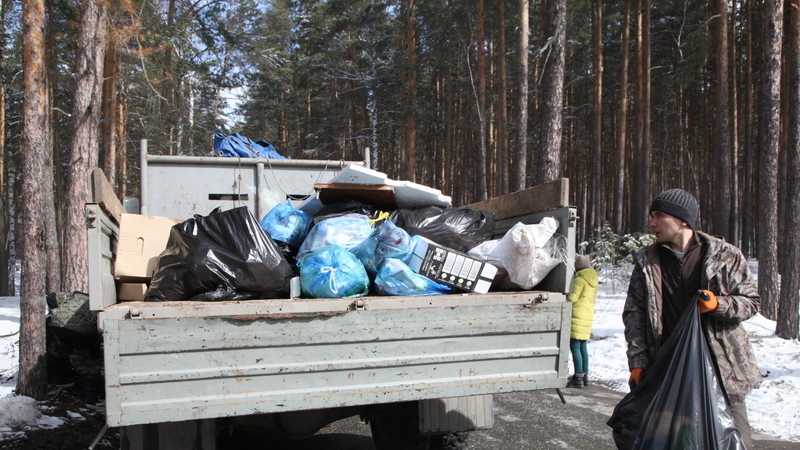 During the annual work on maintaining proper sanitary conditions in forests, as well as within the framework of the declared sanitary and ecological bimonthly period, today the staff of the Ministry of Forestry of the Republic of Tatarstan and employees of forestry districts conducted a massive raid in the forests of our republic to identify unauthorized landfills. In Prigorodnyi Forest District the work was performed on the territory along the road leading to Zelenyi Bor. Forestry employees conduct ground and aerial surveillance to identify and prevent forests littering, explanatory work with the public and school forestry students on the careful attitude toward the forest, establish information boards in the forests, clean forests of deadwood, carry out collection and removal of garbage to landfills. By the way, last year in the forests of Tatarstan more than 7 thousand cubic meters of garbage were collected and removed, more than 200 nameplates were installed, 186 persons were brought to administrative responsibility, and fines in the amount of 490 thousand rubles were imposed. It is necessary that each person takes care of the environment. Entering the forest, one should feel personal responsibility, should not allow littering in the forest.